I have just posted a new video on my YouTube channel. It is part 1 of my 2014 favourites where I rave about new discoveries and old favourites that I have been loving over the past year. I hope you enjoy. I have just posted a new video on my YouTube, I would love it if you would check it out. It is a haul of all the products I purchased in the January sales and mini reviews of some of the products I have tried already. Featuring brands such as By Terry, Soap & Glory, Dior, Laura Mercier and more. Be prepared, its a long one! I have just uploaded a new video to my YouTube channel. It is my second product empties video. I hope you all enjoy. I have uploaded a new video to my YouTube channel, it’s my November Favourites. Sorry I have not uploaded in a while, I have been super busy as I am in my final year at Uni! I have filmed a couple of other videos so hopefully I will be able to upload a bit more regularly now. I hope you enjoy. I have just uploaded a new video on my YouTube channel. It was requested by one of my subscribers to film a makeup collection video which I really enjoyed doing. It is quite a long video but it includes everything makeup related. I hope you enjoy watching this video. Just like I say in the video, I am not trying to show off or brag about my collection. 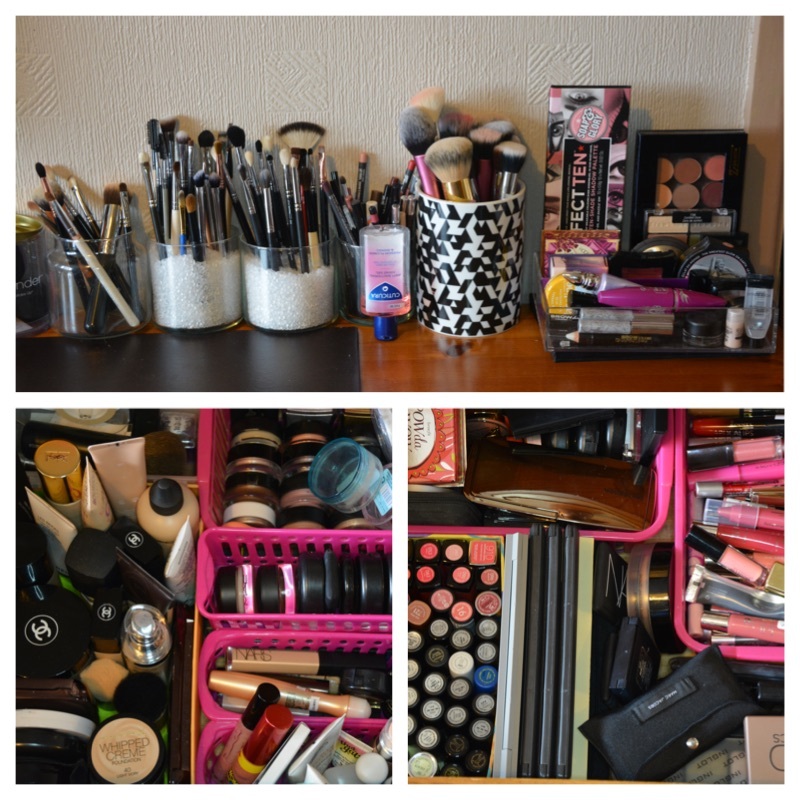 I know it is an excessive amount of makeup but its something that I love and I enjoy using. I purchased most of the makeup myself and the rest was gifts from friends or family. Click the link below to have a nosey at my collection and don’t forget to subscribe.